The hottest new free dating app! Join the hottest community of fun people connecting everyday! Join Chat Party – Meet fun people now! Chat Party instantly connects you with fun people nearby! Talk to great guys and connect with local singles 24/7. Make new friends. Share moments. Talk. Flirt. Party. Join Chat Party! Flirt. Meet. Hook Up. Talk. Date. Meet. Chat with great singles and make new friends! 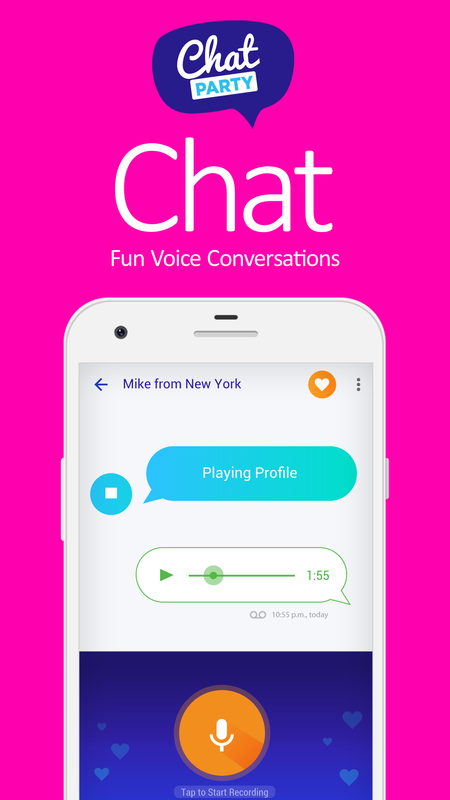 The Chat Party app is available on Google Play. This Dating App is a simple, safe way to discover Fun People and experience New Moments! It connects you instantly to tons of singles nearby and you will be talking to great guys in minutes. We’ll ask you to authenticate via Facebook so you can start right away. We NEVER post anything on Facebook. This Dating App is 100% FREE !!! 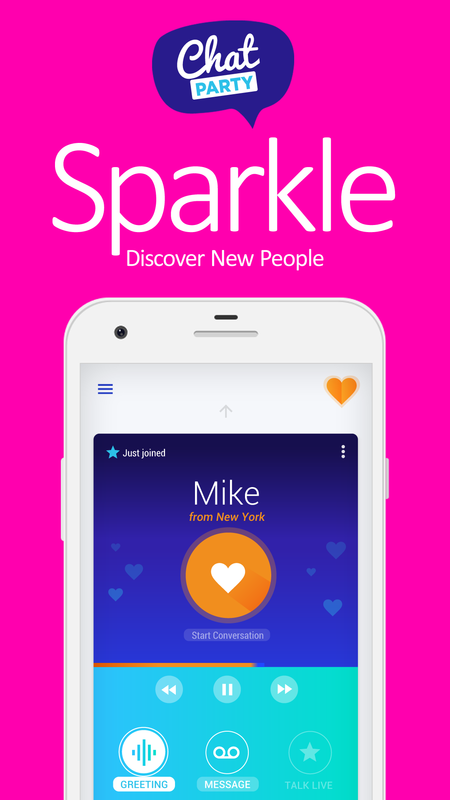 The only FREE Dating App that knows there’s more to you than just your looks. 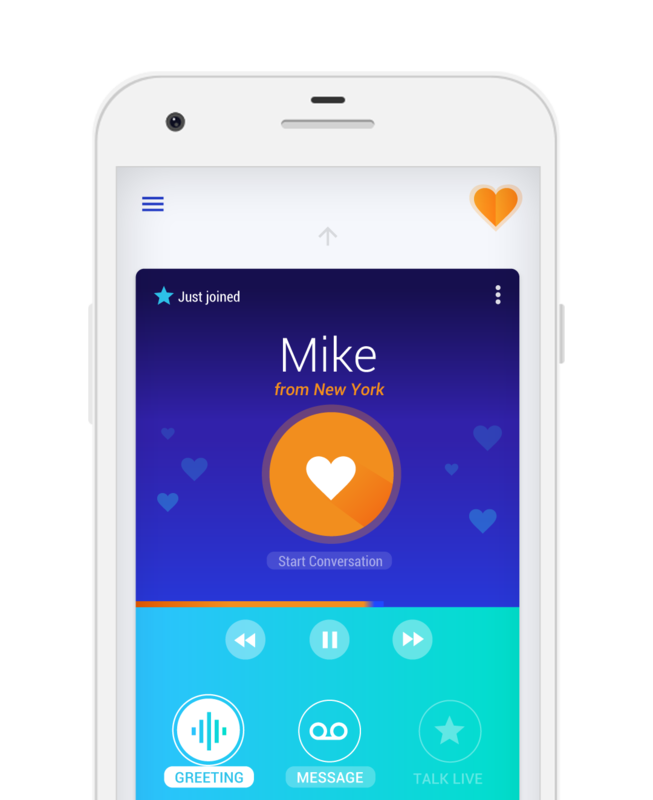 If you’re the kind of person who needs to hear their voice first, then Chat Party App is for you. Only talk to people you are interested in and share the things you love. Join the hottest community of fun people connecting everyday! Chat with great singles and make new friends! Simply log in with your Facebook account and record a Voice Greeting. With Browse mode, you can start listening to the Local Profiles. A dynamic list of new member profiles helps you find exactly who you’re looking for. 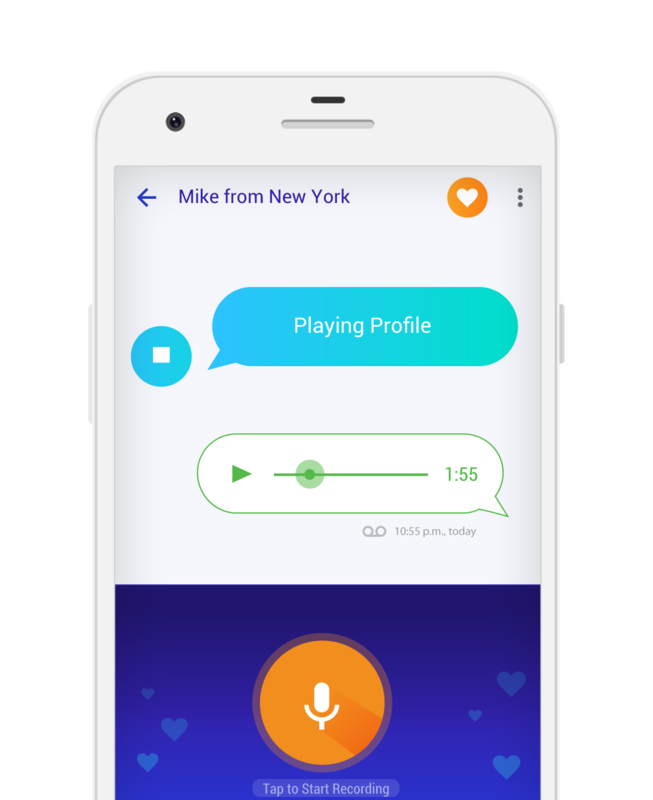 Connecting is easy with our Voice Messaging and Live Chat features. The App is 100% FREE, so get started today. Be mindful of what you share – keep personal information private! The only FREE Dating App that knows there’s more to you than just your looks. Where the talking never stops!!!! New free dating app! The simple, safe way to discover Fun People and experience New Moments! Tons of Fun Singles – Meet new people nearby. Instant Connections – Simple and east to use. Start chatting in minutes. Private Conversations – Confidential and anonymous. Share only what you want to!